The abilities which involve the use of hands, develop over time, starting with primitive gestures such as grabbing at objects to more precise activities that involve precise eye–hand coordination. 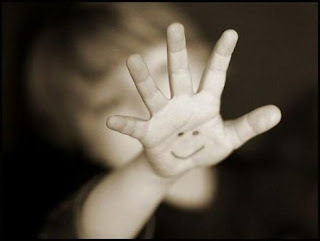 Fine motor skills, are skills that involve a refined use of the small muscles controlling the hand, fingers, and thumb. The development of these skills allows one to be able to complete tasks such as writing, drawing, and buttoning. When the child enters middle childhood he or she makes great progress in their artistic abilities. They begin to express themselves through drawing, sculpting, and clay modeling. As children refine their motor skills, they are able to help themselves by completing daily activities independently. For example children between the ages of 2 and 3 are able to put on and take off simplistic articles of clothing. They are able to manipulate clothing with zippers, use spoons, string together beads with large holes, and open doors with doorknobs. When children are between the ages of 3 and 4, they are able to manipulate clothing with larger buttons, use scissors to cut paper, and are able to copy simple lined shapes using a pencil. At 4 to 5 years of age, children are able to dress and undress themselves without assistance. They are also able to manipulate a fork, and have gained the dexterity to cut around shapes with a pair of scissors. And by age 6, a child is able to cut softer foods with a knife and is able to tie his or her own shoes. Because all children develop at their own rate, the ages given are not an exact timeline. It is critical to understand the development of children's fine motor skills in order to understand the reasoning behind why they complete certain tasks in a certain way. For example, it is important to understand the development of fine motor skills when a paper is handed in by a child in grade one and the writing is large, malformed, with little evidence of control of the pencil. If the teacher were to know the stages that children go through to develop these skills, then he may be more considerate and provide the child with appropriate adaptations in order to help him improve his writing skills. Also, as children refine their motor skills, they are able to communicate by written expression. Starting off with scribbling and moving on to printing and writing. Children’s drawings also develop as a child ages and refines his fine motor skills. This has been widely studied, especially by Rhonda Kellogg, following children from 2 years to 8 years of age. Her research has found that the artistic gestures of children evolve from basic scribbles to consistent symbols. The first symbols that are formed by children are the circle, the upright cross, the diagonal cross, the rectangle, and other common forms. When the child is 3 years old, he begins to form face shapes and by age 4, humans. At 4 to 5 years old, the child draws a human form with arms and legs, and eventually the child adds a trunk and clothes. Children then evolve to include other pictorials in their art, such as houses, animals and boats, by the age of 5. Sometimes children need some assistance when developing their fine motor skills. This requires one to find strategies in order to assist children with their development. Occupational therapists are experts in the field of fine motor and handwriting development. If you suspect that there may be an issue with the fine motor development of your child you should seek an evaluation by a licensed occupational therapist. Toys that require a child to manipulate it with his fingers and hands can be categorized as a manipulative. Manipulatives involve coordinating the eye to what the hands are needed to do. 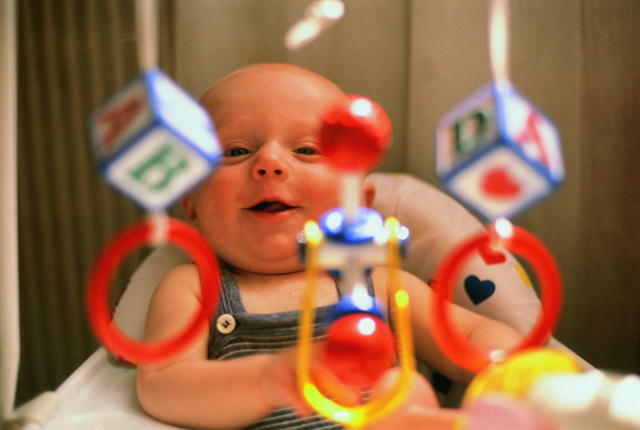 They stimulate fine motor development because they require controlled use of hand and finger muscles. Some manipulative toys, such as puzzles, are self-correcting, fitting together in only one specific way. These types of toys only fit together one way and allow children to work until they achieve success. Play dough is a manipulative that can help strengthen a child's fine motor skills. Dough can be rolled into balls, tooth picks can be used to create designs in the dough, and plastic knives can be used to cut the dough (with supervision). Other ways to assist children with their fine motor development are to use modified tools to assist them. For young children, using crayons is often difficult at first due to their small size, so it is important to provide children with a tool that they are able to manipulate. There have been crayons created that are a 3-D tetrahedral shape, so that the children are able to grab the crayon in any position. The use of these crayons allows for a child to create a more precise picture because of the control he has and this also helps the child to pursue such personal expression, since he is not being frustrated by not being able to use the tools. Children, when they are learning to print, also experience some frustrations. A way to assist a child who is having difficulties with this is to provide him with a Primer pencil (which is thicker around) or to modify a pencil by adding to its circumference (either by a formed grip or by adding tape). For a child who is having difficulties with his fine motor skills, offering tools such as larger pencils and modified pencils will help the child develop a better grasp of this tool and eventually moving to smaller, regular size pencils. This will help with his self-esteem, providing him with a sense of accomplishment in writing tasks. Another way to assist a child who is having difficulties developing his fine motor skills is to provide the child with proper positioning of his hands and body in order to accomplish tasks.